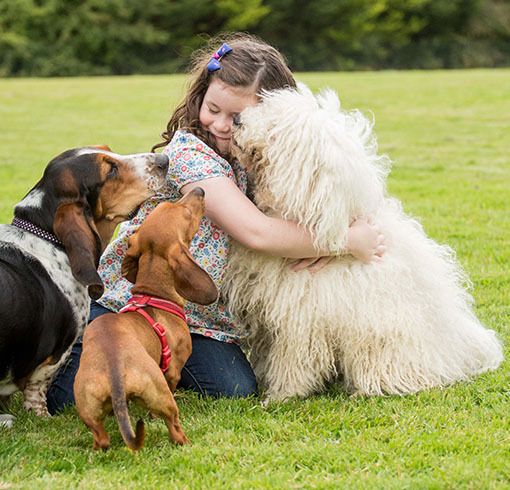 Capturing the special relationship between your children and their best furry friend! 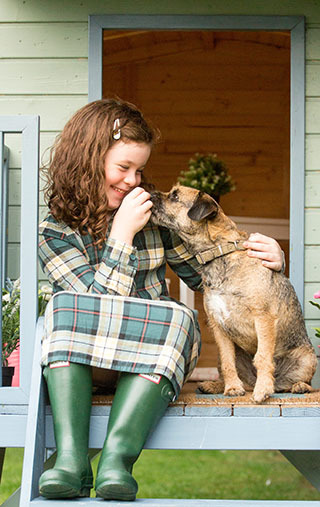 Does your child have a special relationship with your dog? Do you try to taken photographs of them enjoying this relationship but never get the image you really want? Do you find you’re too busy enjoying the magical moment to even just get the camera out? Have you tried to capture their relationship, but can never get them to look at you at the same time? Or do they always look or run away when there’s a camera or phone pointing at them? 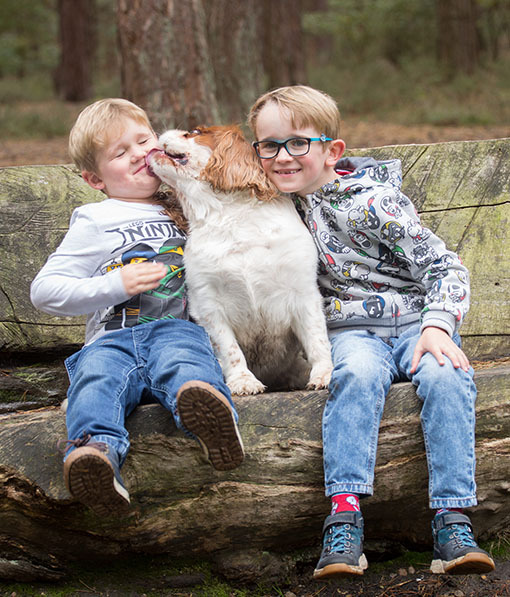 Do you want photographs taken in a natural setting showing your children and their best friend at their best? Do you want high quality images you can share, either electronically or as wall art? Then I am very glad that you’ve found me! I can help you get those images. I will spend a little time before the photoshoot talking to you about this wonderful relationship they have, what you want to capture in the photographs and where the best place would be to get this relationship to shine. We’ll also chat about what to wear, what to bring, (treats, changes of cothing, treats) and hopefully I can answer any questions you may have. The session is all about fun! At the beginning of the two hour session, I’ll spend a little time letting the models get used to my look and getting them used to the idea of having a camera pointing at them. 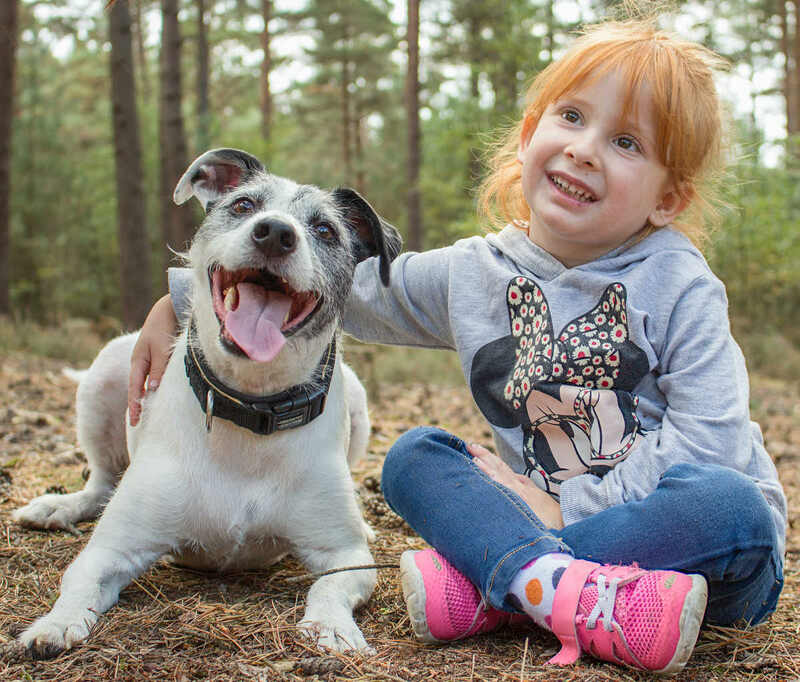 How many times have you pointed your camera at your child and dog playing and suddenly one or both of them suddenly stop and pose? 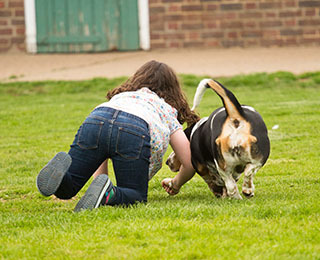 I have a few tricks to make sure we get them playing and therefore enjoy themselves as much as possible. I will book a post shoot viewing and ordering session for approximately seven to 10 days after the photoshoot. At this session, you get the chance to to look through and choose the photographs you like best from the session. This might be done at your home, or you could join me at my cabin studio for a glass of wine or cup of coffee/tea and some nibbles!